If you do not have an available number in the Caller ID selector then you must validate a phone number to use as a Caller ID. Launch the turboDial popup by clicking the turboDial link on any contact record in your Infusionsoft account. Login to turboDial using a valid Infusionsoft ID that has been submitted as an authorized user in your turboDial account. When you first signed up for turboDial the email address you signed up with was installed in turboDial as your authorized user. If that email address is not a valid Infusionsoft ID then login to your turboDial account and change it. Next, if you want to talk using your PC rather than a phone, you should plug a headset into your PC now. It doesn’t need to be a fancy headset – the simpler the better. iPhone earbuds work well. 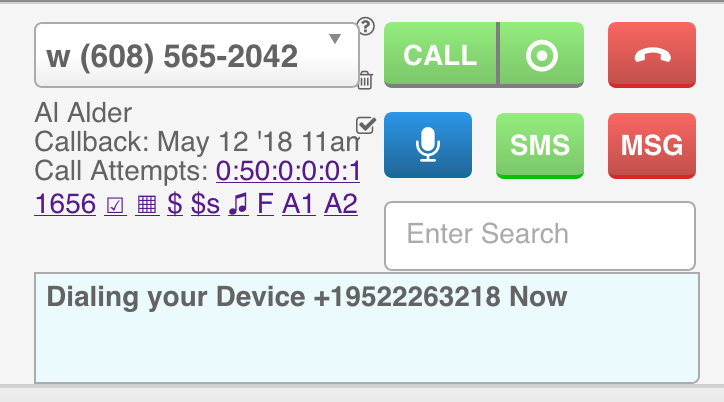 If your account is configured to “Record All Calls” then these two buttons are merged into a single “Call+Rcrd” button. Enter a Number – choose “Enter Number” from the selector and the number currently present in the Search field will be used for the call. Type in the number using your keyboard or the on-screen keypad before beginning the call. Be sure to put your cursor into the Search field before you type in the number. Choose any of the phone numbers you have previously verified before beginning the call. Call from your PC – choose “This PC” from the Calling Device list before beginning the call and your call will use the sound capabilities of your PC. A simple headset with built-in microphone along with a good Internet connection are all that’s needed. Most people are pleasantly surprised at the convenience and sound quality of calls made this way. Call from a Phone – choose a phone number from the Calling Device list before beginning the call. This device will be called first when you begin the call and when you answer it turboDial will automatically continue connecting to the person you are calling. Note that it is extremely important to answer the call to your device – if you don’t answer and your voice mail system answers instead then your voice mail system will be connected to the person you were calling, which could be a confusing experience for them. If you have changed your mind and don’t want to continue the call then you should first answer the call to your device and then hang up. See this page for instructions on adding a Calling Device. 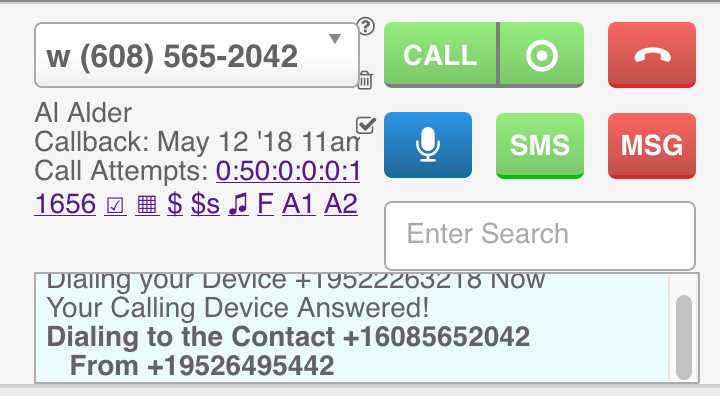 Although not shown in the video, when you make a call using a phone as your Calling Device you will see a temporary notification window displayed in turboDial, and messages describing the progress of your call will be shown as your call proceeds. These messages help you identify when your Calling Device should begin ringing and if it does not ring then you should hangup the call and investigate to determine the cause. Your mobile phone has an intermittent wireless connection and your mobile carrier failed to connect to it. Please Note: When you start a call with a phone as your Calling Device turboDial always sends a call to your phone, but turboDial cannot force your service provider to ring that phone. See this FAQ for more information on diagnosing problems with your Calling Device.